Both Government sources and those from the EU claim that well over 90% of the work for Britain’s exit from the EU has been completed but everyone agrees that the most difficult issues remain, in particular resolving the question of the ‘Irish border’. But the EU negotiators are not the only hurdle facing Prime Minister May; she has the rather awkward (and possibly impossible) task of gaining Cabinet approval for her proposed way ahead. Then comes the rather tricky task of persuading parliament to sanction any such agreement – some backbench Conservative rebels and DUP MPs likely to be more difficult to convince than members of the Opposition. Whether the current thinking will enable Mrs May to take a plan to Brussels for a summit later this month is debatable, but money markets and currency markets are highly sceptical of this event happening. Meanwhile, Brexit uncertainty is beginning to cause problems for many companies. Not only are their investment plans being deferred (see UK commentary below), but firms seeking to employ new staff are suffering from a lack of suitable candidates. 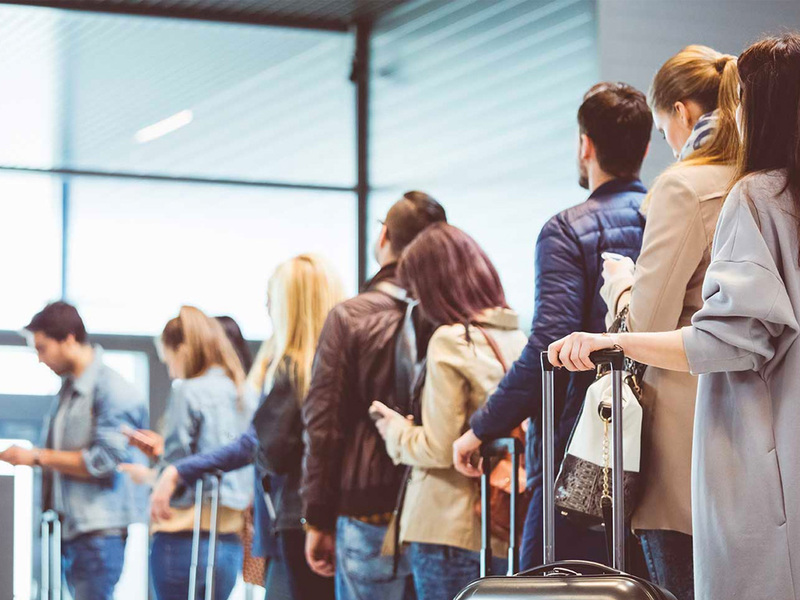 Research from the CIPD shows that vacancies are becoming harder to fill with potential migrants no longer viewing the UK as an attractive place to work. ONS statistics show that the number of non-UK born workers in the country fell by 58,000 in the three months to June this year, compared to a rise of 263,000 in the same period last year. This shortage is leading to employers having to increase pay in order to attract staff. It has now become apparent that global growth peaked in the second half of last year, with growth rates having continued at similar levels into 2018. As mentioned three months ago, expansion has become less balanced across the globe, overall downside risks have increased while the potential for upside surprises has diminished. Our global GDP forecasts have been trimmed by 20 basis points from those of three months ago, to 3.7% for both 2018 and 2019, the same as that achieved last year. In the US, continued fiscal stimuli will ensure that growth will expand at 2.9% this year – unchanged over the quarter, but further out, concerns over President Trump’s protectionist policies suggests that growth may be adversely affected. Our forecast for 2019 has therefore been cut from 2.7% to 2.5%. In Europe, Brexit uncertainties have been joined by concerns over the state of Italy’s finances and both are likely to weigh heavily over the coming months. Coupled with a relatively soft first half of the year, GDP forecasts across the Eurozone have been cut by 20 bps this year to 2.0%: forecasts for the UK are unchanged from the last quarter’s downwardly revised 1.4%. After a lengthy period of favourable monetary and fiscal conditions, global markets are beginning to enter a long period of tightening as monetary policy normalises. The trade measures already implemented will negatively affect next year and beyond while the positives from the US tax cuts will also reverse. Over the course of the year, risks have tilted further to the downside, particularly through escalating trade tensions. As if Brexit was not enough of a distraction, the EU have now been saddled with an economic crisis that potentially has far greater ramifications. In an unprecedented move, the European Commission has rejected Italy’s budget, demanding that they reduce their borrowing plans. The Italian parliament seems unwilling to budge on their plans to end austerity, but the EC concern and that of markets rests on the country’s level of debt – 130% of annual GDP – second in percentage terms only to Greece, but significantly ahead in monetary terms. It seems that this dispute will run for some time. Meanwhile Brexit negotiations rumble on with apparently around 90% of work completed and agreed, but with the remaining outstanding issues being particularly contentious, most notably how to resolve questions regarding the Irish border. It now seems unlikely that full agreement will be reached by the time of the UK’s planned exit next March with ‘no deal’ becoming the likely outcome, requiring an extended transition period in order to complete the negotiations. The Eurozone has suffered a sharp slowdown over the course of 2018. After peaking at a decade high growth rate of 2.4% last year, the zone slowed markedly in the early months of this year, mostly on account of lower exports as global trade growth diminished. This slowdown has been visible across most countries in the single currency bloc: growth. Third quarter growth disappointed with the average Eurozone activity slipping from 0.4% in the previous quarter to 0.2%. Italian growth flat lined in the recent quarter adding to the government’s problems. Although the UK’s economy grew at 0.6% in the third quarter – the highest quarterly growth figure for two years – the underlying picture remains dull. The strong headline growth was helped by the World Cup and favourable summer weather – a welcome reversal after the extremely weak weather-affected start to the year. However, in a further nod to the approaching Brexit and fears of a no deal, neither August nor September showed any growth. Over Q3, the service sector, which makes up three-quarters of the economy, only grew at 0.3%. This time, overall quarterly growth benefited from strong performances in the construction and manufacturing sectors, the latter helped by a surge in car exports. Unsurprisingly, business investment contracted again, as companies take stock ahead of Brexit. Q3 was the third quarter of declining business investment and that has not been seen since the financial crisis, almost a decade ago. We have not altered our growth forecasts for the UK in the light of the latest activity figures. But with time very much ticking on the date of the planned exit from the EU, and with the chances of a ‘no deal’ increasing, risks very much lie to the downside. One bright spot recently was the news that wage growth is currently running at its fastest pace since late 2008. Current wage growth is also ahead of inflation, thereby delivering consumers real growth in take home pay. We have been following the demise of the retail sector in this report for several quarters. But despite news from the high street and beyond being as bad as can be imagined, and despite average capital values of retail assets continuing to head south, there appears to be some backers for the beleaguered sector. Fresh from picking up House of Fraser, Mike Ashley has emerged as the saviour of Evans Cycles. The use of the word ‘saviour’ is perhaps going too far and both purchases will result in sizeable reductions to both brands’ portfolios. The battle for shopping centre assets, also covered in previous reports, took a further twist when Intu, the owner of several regional centres such as Lakeside, Trafford Centre and the Metrocentre, became subject to a bid from a consortium led by the experienced retail investor, John Whittaker, through his Peel Holdings. Whittaker is a shrewd operator, rarely overpays for any asset, never mind a listed company. Emphasizing again the extent of the retail sector’s woes, Intu (or Capital Shopping Centres as it was known then) managed to stay independent eight years ago from a hostile bid from the Simon Property Group of the US. Simon’s indicative offer price then was double that of the latest offer, again highlighting the extremely weak pricing of these assets today. With that backdrop, it was hardly surprising that returns from the retail sector continue to disappoint. A further quarter of falling values, marginally outpaced by the sector’s rising income return ensured that overall returns edged into positive territory over Q3 – at 0.04%. The office sector saw average capital values grow by 0.6% helping total returns reach 1.6% in the quarter. But once again, the industrial sector remained by far the best performing sector: average values rising by 2.2% and total returns hitting 3.3%. Over the first nine months of the year, average property values have risen 1.7% producing average total returns of 5.2% for the market as a whole. In the October Budget, which was thankfully light on measures that will impact directly on commercial property, Chancellor Hammond announced measures to assist the regeneration of the high street, in particular setting up a £675m investment fund. Whether that is sufficient or indeed a viable solution will become evident in the coming years. The City of London office market continues to perform strongly in both investment and occupier terms. Although lower than the levels of transactions seen in the second quarter of this year, take up in Q3 hit £3bn, bringing the total for the year to date of £8.63bn, almost identical to that of the first three quarters of 2017. Projections for Q4 suggest that the total deals for the year could hit £12bn, a figure only achieved three times in the past. While Asian investors account for by far the largest amount of deals (over the first nine months, they make up 57% by volume), UK investors make up 18% by volume but 45% by number, emphasising the gulf between the size of the typical UK fund investment and that from overseas. It seems that foreign investors are still seeking to invest in the UK (or at least in the liquid, high value central London office markets) irrespective of the concerns many domestic investors have over Brexit. The depreciated value of sterling assists in the thinking of these overseas investors. A quiet August brought year to date take up to 4.3m sq. ft. down 6% on the equivalent period last year although 12% up on the 10-year average. The traditional main occupiers in the City – insurance and finance, technology and media, and the service office providers – have once again dominated take up in the year to end August, accounting for almost half of all space let. If anything, statistics from the West End office markets are even more buoyant. Strong investment in Q3 brought turnover in the first three months of the year to £5.64bn, 5% ahead of the equivalent figure last year. Again, the West End saw its fair share of the ‘mega’ deal. In the biggest deal of the quarter, Deka Immobilien bought the 320,000 sq. ft. mixed use, 12 storey building in Bressenden Place for an undisclosed, but certainly large purchase price. Take up has been particularly strong this year. So far this year, take up is running 14% ahead of last year’s figure and almost 50% above the long term average. Supply of stock remains tight in both markets. Vacancy rates are broadly unchanged over the year at 5.4% in the City and 3.9% in the West End. The development pipeline is increasing, but over the coming three years, over one-third (36%) has already been pre-let in both markets. Supply of stock is one of the key stumbling blocks to the continued strength of future investment transactions. With many investors adopting a ‘wait and see’ approach to the portfolios, it may be lack of available stock for purchase that will limit the number of future deals rather than a falling off of investor demand. According to the IPD Quarterly Index, both sub markets continued to deliver positive capital growth. Average capital growth for City offices was less than in Q2 at 0.6% in Q3 (versus 1.1% in Q2) which pushed total returns to 1.55% in the quarter. West End offices, by contrast, saw average capital growth increase to 0.45% in Q3 (versus 0.3% the previous quarter, and increased the total return for Q3 to 1.3%. Over the first three quarters of the year, average City offices have seen value growth of 2.3% and a total return of 5.1%. The equivalent figures for the West end are 1.1% and 3.6% respectively. Prime yields were again unchanged over the quarter at 4% in the City and 3.25% in the West End. All investment and take up statistics from Savills, all performance statistics from MSCI. Real Estate Asset and Development Management is what we do and we have an extensive track record of doing it well.